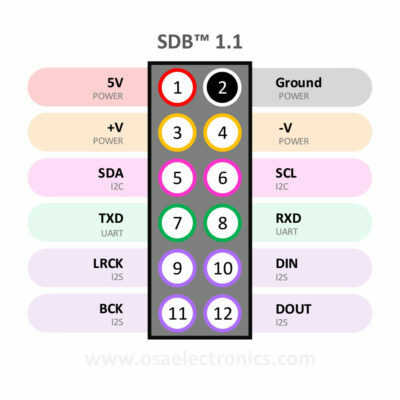 This guide contains all the information you will need to run the OSA Electronics DACBerry ONE+. By default, the DACBerry ONE+ board DAC PCM5142 acts as master device, and the WM8804 as slave device, together the Pi. 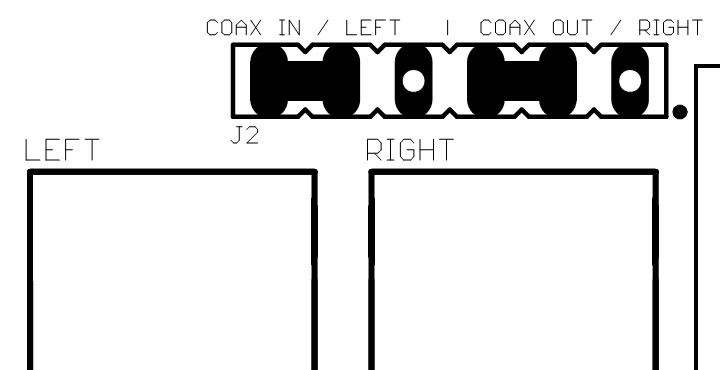 PCM5142 default I2C address is 0x4D, WM8804 address is 0x3B. The PCM5142 can be also configured as slave device implementing your own driver. 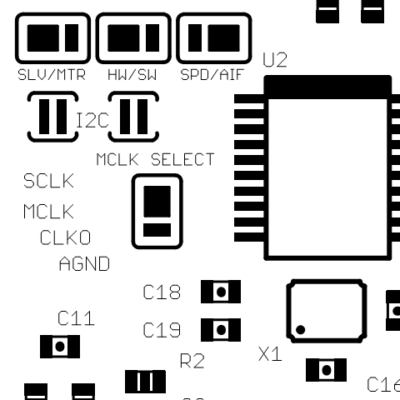 The WM8804 is set by default on Hardware mode, without any I2C connection. It will get the MCLK directly from the DAC and will reproduce files at same time as the PCM5142. Onboard, there are several solder jumpers to configure the modes of the WM8804. 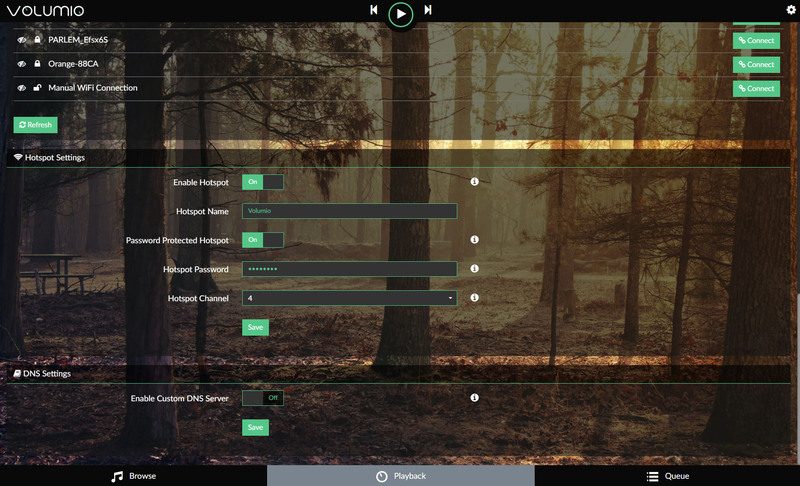 You can select between Hardware/Software mode; Slave/Master mode; AIF/SPDIF Rx modes and MCLK input selection. 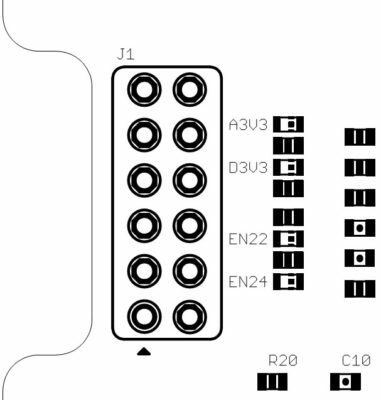 The two I2C solder jumper are by default disabled, allowing a correct communication between the Pi and the DAC, because the WM8804 has two pull-down resistors on I2C lines for Hardware mode. 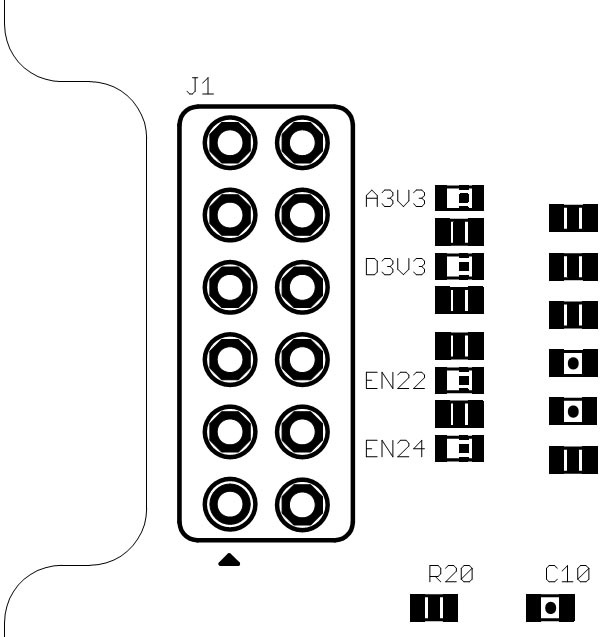 When switching to Software mode, both lines will have a pull-up resistors on I2C bus, allowing you to close the two solder jumpers enabling the communication. This mode enables playing simoultaneously Analog and Digital using the same driver. This mode disables playing simoultaneously Analog and Digital using the same driver. You can switch between them aplying different profiles, or you can also use both at same time (In that case, you will need to create your own driver). *IMPORTANT: Modify the board at your own risk. You will need some soldering skills and tools to do it. The DACBerry ONE+ also offers you the option to have Digital Coax IN/Out using onboard RCA connectors or using an extension board/cable. 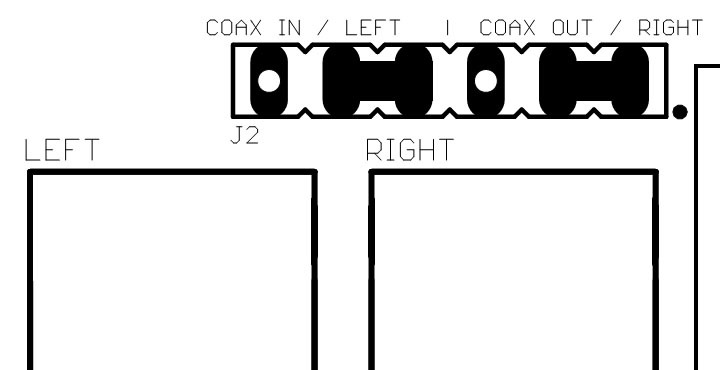 To do that, take a look to the J2 jumper configuration. 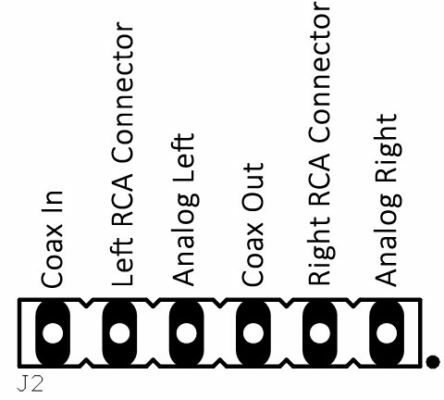 If you use the onboard RCA connectors for digital purpose, you can still use the 3.5mm jack for analog audio output or for optical input. You will also need to take the GND from J1 connector. 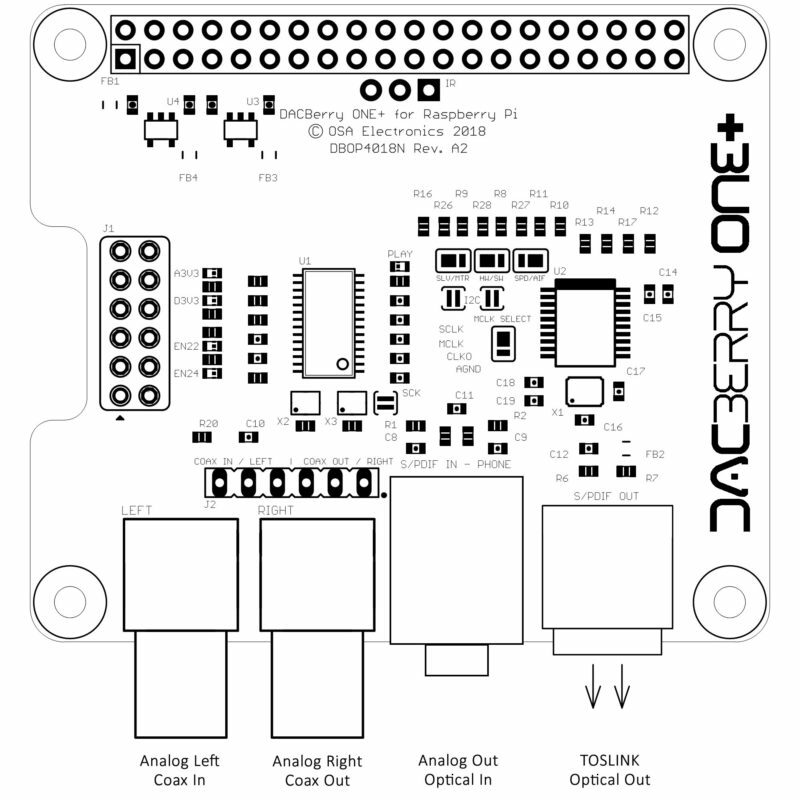 DACBerry ONE+ is one of the first boards to include this standard created by OSA Electronics. SDB Interface is a mix of Sound and Data signals together in the same Bus. 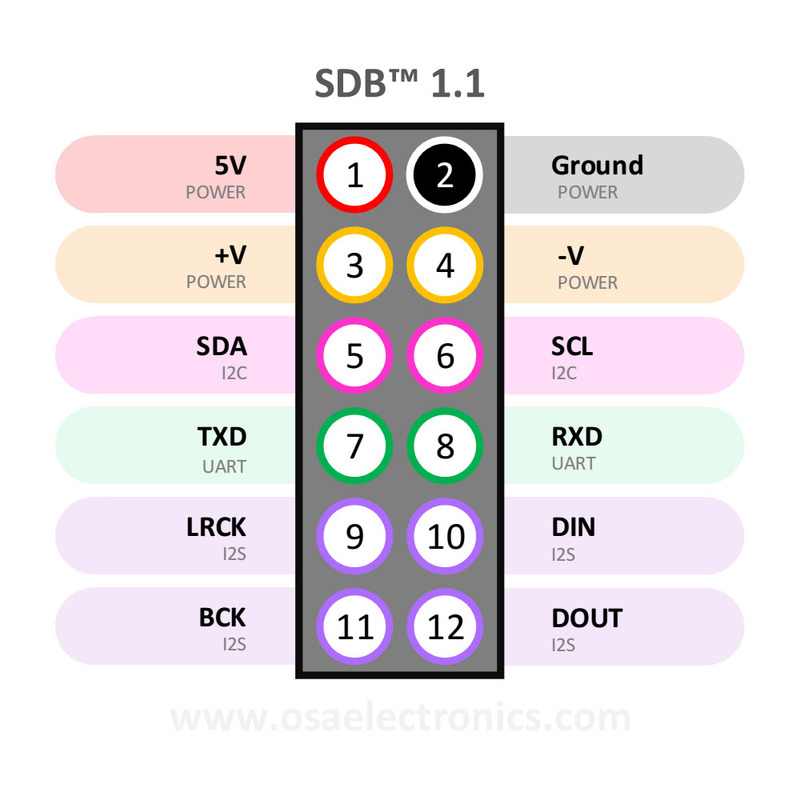 The A1 revision uses SDB™ 1.0 (like DACBerry PRO), and A2 Revision the SDB™ 1.1. 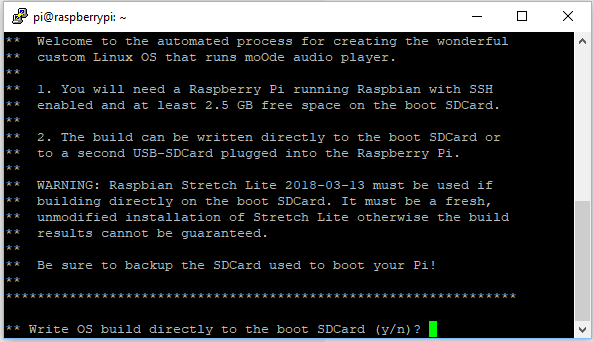 There is an easy way to install support for DACBerry ONE+ on Raspbian Jessie. To get it working using the RCA Output and Optical/Coax at same time, you need to use the “Hifiberry DAC Plus” profile. moOde Audio Player is one of a range of audio playback solutions that supports DACBerry boards. You can follow these instructions in order to install and configure it. It does not offer a “ready to use” image like other distributions. Instead it uses an image of the operating system (Raspbian) as basis and then a script for automatic installation. 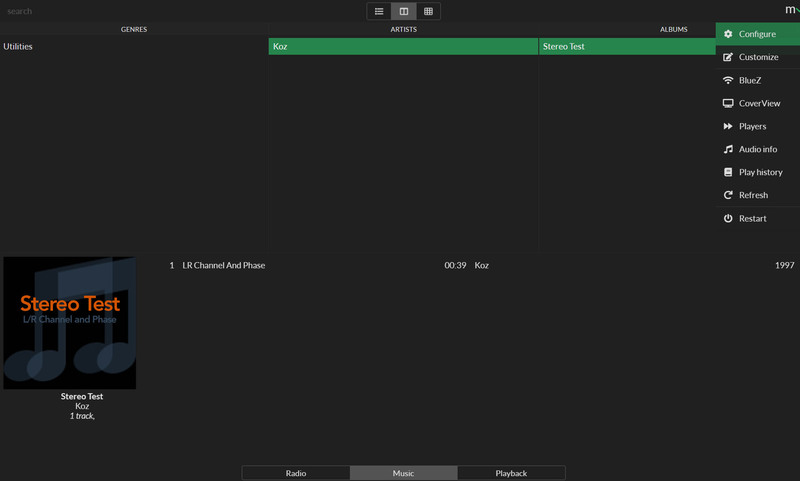 *IMPORTANT: In order to make it works properly, is recommended to do a fresh install of moOde and use lastest version. The following command executes the script. If you have not been connected to the internet two commands earlier, than simply NOTHING will happen here. If you had been online the installation wizard will be started. Wait for about 10 seconds until the green LED on Pi stops blinking. Then unplug the power cable and replug it. All you have to do now is to wait. The Pi is downloading and compiling, so how long you have to wait is mostly depending on the CPU speed of your Pi. This may be several hours. 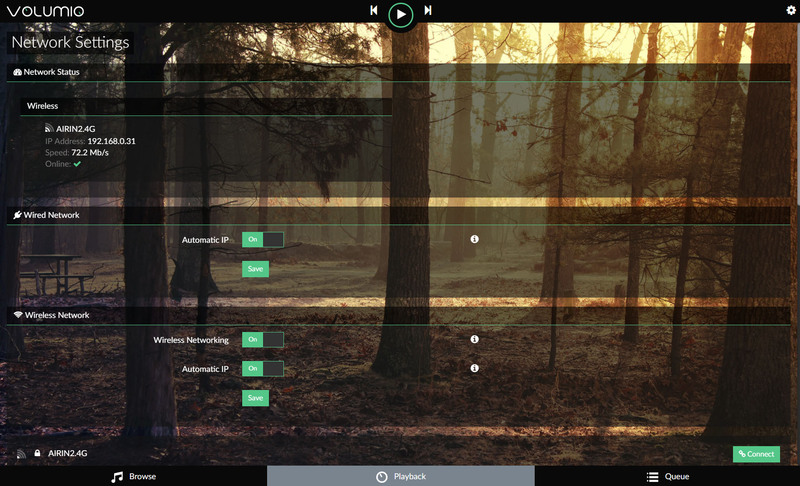 Direct your web browser to http://moode, http://moode.local or the device’s IP address. 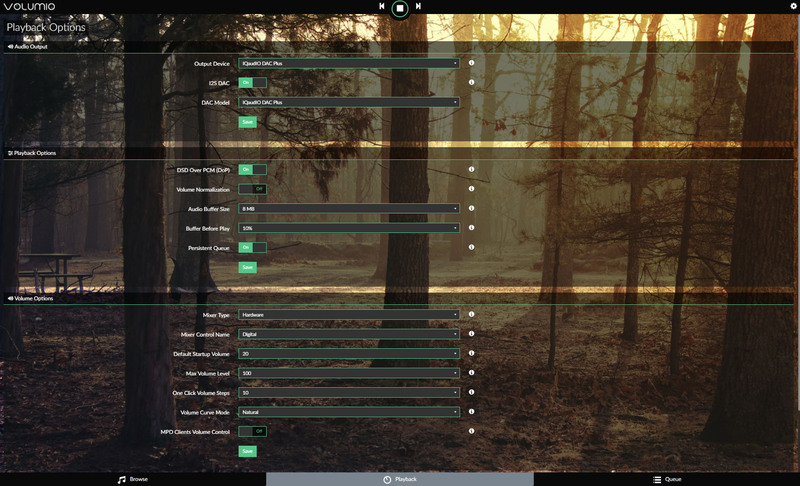 Then, click the menu icon in the top right corner and select Configure. 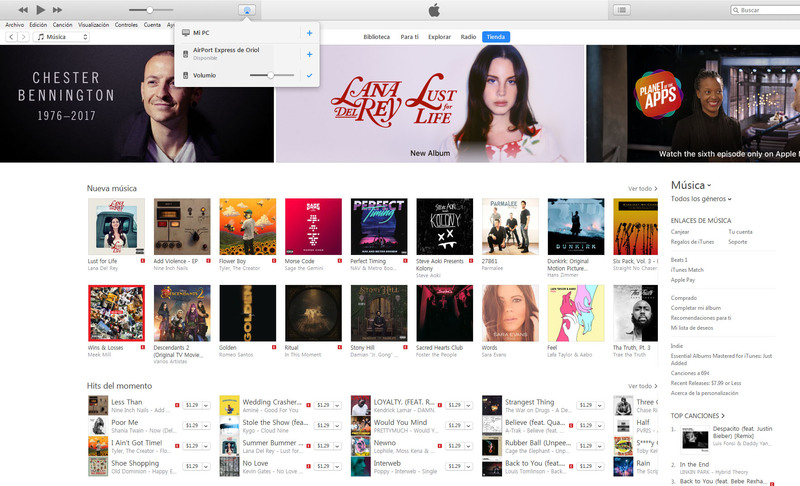 Now, select the Audio icon. 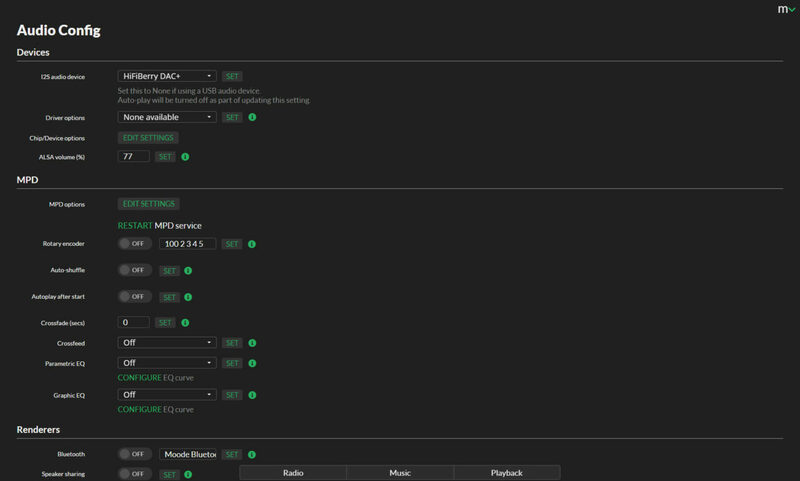 Choose the HiFiBerry DAC+ board from the I2S audio device drop-down list and click SET. 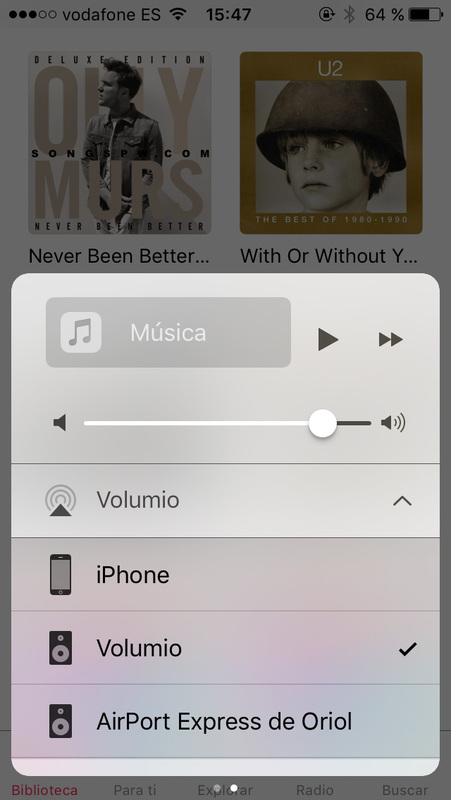 Restart the device and enjoy your music!